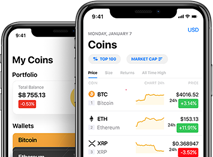 Coingi is a cryptocurrency exchange that launched in 2014. Initially it was only offering crypto-to-crypto trading, but recently it also introduced the option to trade cryptocurrency for EUR, USD and CZK. Coingi accepts client globally and has its site localized in a large number of languages, including the major European languages, several Central and East European, Russian, Arabic and Chinese.